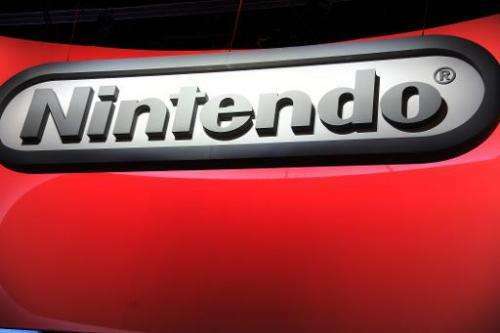 Nintendo shares shot up more than 21 percent Wednesday after the videogame giant said it will enter the booming market for games on smartphones, in a U-turn long sought by investors. As traders pounced with buy offers overwhelming sell offers, the shares changed hands at 17,080.0 yen, up 21.3 percent after hitting the daily stop limit of 3,000 yen. It was the best closing price for the stock since June 2011. 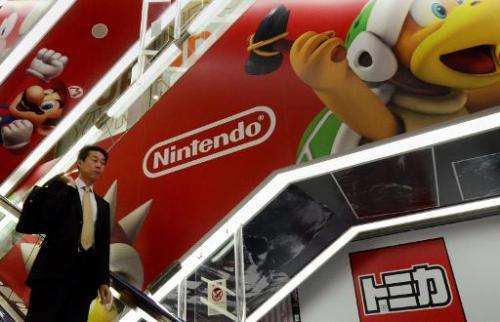 Nintendo, based in the ancient city of Kyoto, announced Tuesday it was teaming up with Tokyo-based mobile gaming company DeNA to develop games for smartphones. 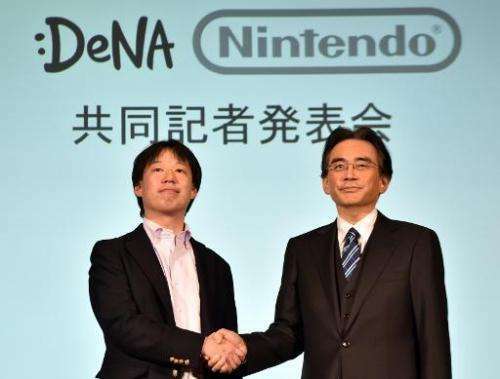 The maker of the Super Mario and Pokemon franchises plans to buy 10 percent of DeNA for 22 billion yen ($181 million) with the pair set to create games based on Nintendo's host of popular characters. Investors had been hoping Nintendo would venture into the expanding market but the company has—until now—stuck with a "consoles-only" policy, noted Kenji Shiomura, senior strategist at Daiwa Securities. "Now they are finally stirring and... the market likes it," he said. But even with Wednesday's stellar gains, Nintendo's stock is still a long way off where it once was. The issue has sunk more than 60 percent since June 2007 when Apple's iPhone made its debut. "Finally Nintendo has turned a corner and embraced a huge strategic shift," Atul Goyal, an analyst at Jefferies Group LLC in Singapore, said in a report, as he raised his recommendation on the stock to "buy". "We have been waiting for Nintendo to make this move and this will offer large upside." DeNA also closed up 21.3 percent at 1,707.0 yen with the daily limit gain of 300 yen. Shares in Bank of Kyoto, the fifth-largest investor in Nintendo, surged 14.5 percent to 1,421 yen. Nintendo and DeNA did not release details about which characters would be made available to play on smartphones or tablets. But Nintendo's president Satoru Iwata said the two companies will launch at least one game this year, and added that the tie-up would help tap a new customer base. "The world is changing, so any company that is not coping with the change will fall into decline," he told a Tokyo news conference. But Iwata added that the announcement did not mark a move away from consoles, saying Nintendo would release a new system as a successor to its Wii U home console, which came on to the market in late 2012. Nomura Securities boosted forecasts for Nintendo earnings on expected contributions from mobile game business but left its investment rating as "neutral". "Concerns remain over the effect on the 3DS and existing console game businesses and over the company's capacity for developing apps," the brokerage said. "We will be watching the situation on the game development front with interest," it said in a report. Nintendo has struggled as rivals Sony and Microsoft outpaced it in console sales by embracing hard-core gamers. But all three have suffered at the hands of a trend toward cheap—or sometimes free—downloadable games for smartphones and other mobile devices. Sony on Tuesday said its net profit for the three months to December more than tripled from a year earlier, while confirming it was on course to incur an annual loss smaller than expected last year. Robust PlayStation console businesses helped improve Sony's earnings along with a weak yen, increased sales of smartphones, and image sensors for cameras, Sony said.